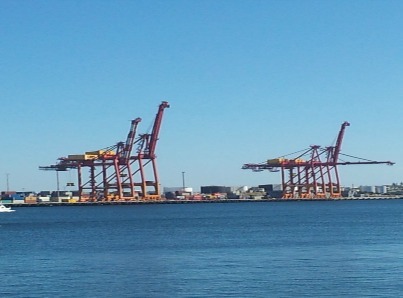 EES have been recently advised by K-line that, effective from their next vessel’s arrival into Fremantle, their vessels will now be discharged at Patrick’s Terminal. The first vessel that will be worked on at this port is the Swan River Bridge V.808S (currently due to arrive Fremantle 09/01/2014). *K-line vessels will generally arrive into Fremantle every Thursday which places the first day of availability on Saturday, with Monday being the last free day on the wharf. Whilst this change in terminals is welcomed, it also brings forth the concern for all importers to ensure that they provide EES Shipping with all relevant documentation in order to facilitate customs clearance effectively and efficiently. It is now imperative to ensure that ALL complete customs documentation is provided to us as soon as possible to avoid any delays and additional costs to yourselves. It is also equally important that original bills of lading / telex releases are received promptly. Please note that EES Shipping, nor our nominated transport operators, will be responsible for additional costs due to late documentation lodgement. Unfortunately there can be no exceptions to this rule given the amended time frame for availability at this terminal. If you have any questions regarding customs documentation or this change in terminal operator, please feel free to contact us.